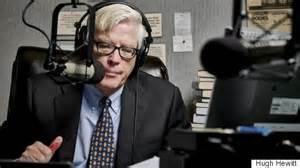 My favorite radio talk show host, Hugh Hewitt who hosts the intelligent and news making Hugh Hewitt show, has recently [Jan. 16, 2018] stated who he believes is a real RINO among elected GOP leaders. As it mirrors the same person who I named in this post and because I don't want to do a spoiler alert, you have to read the this repeat post from 2 years ago to find out who that is. As you read this, remember the time period [from January, 2016]. Can I say GMTA? :-) Because of Hugh's comments, I am doing this repeat post. Mostly on the left we heard decades ago about an upcoming "ice age". Then just a few years ago that gave way to "global warming." Barack Obama said the issue was settled. The science is in and no one can dispute man made global warming. Well that issue "that has been settled" didn't last long as global warming was displaced by the term, "climate change." When is the last time you heard the words "global warming?" The issue never changed for the left, only the words to describe it. Why? Because the scientific facts on the ground made anyone who continued to talk either about a new ice age or about global warming look foolish. So, the left cleverly used an all encompassing term, "climate change" that would account for any and all different patterns of weather. If there are blizzards, it is because of climate change. If there are droughts it is because of climate change. If it is cold outside...climate change. If it is hot outside...climate change. Yes, the left was clever in replacing global warming with climate change. That ends the argument for someone who would disagree because how can you prove a negative, especially on such a general term. This election season have you noticed something strange. For the most part, you haven't heard the acronym RINO any more. It has been replaced by 'the establishment.' Now the worst pejorative a Republican can be called is not RINO, but that he or she is part of 'the establishment'. First of all, let me make it clear, I for one am glad the term RINO seems to be going out of style. That was one of the most over-used and misused terms of all. RINO, Republican in name only, was not used to describe someone who was not really a Republican, but it was being used to describe someone who wasn't conservative enough, in the eyes of the beholder. So, you had GOP politicians who were in office for decades as a Republican and who supported every single Republican candidate against the Democrats and who had voted for almost every single Republican bill or for every Republican judicial appointment being called RINO's. Huh? Now, you might be able to say some of those Republicans were not conservative enough for you, but what you couldn't legitimately call them was RINO. Not to say there weren't real RINO's. Republicans who would consistently vote against the GOP, or who would support Democrats over Republicans in elections, or who would actually switch parties could more appropriately be called RINO's. Some examples in my opinion would be Chuck Hagel, Charlie Crist or Ron Paul. These politicians had the name Republicans but weren't really Republicans because they either supported Democrats over Republicans, or they voted against most Republican bills, or they actually switched parties to become Democrats. So, because of it's misuse and so much overuse, I am glad that RINO seems to be going out of the GOP lexicon. But now, 'the establishment' has replaced RINO, and just like RINO, it is becoming misused and overused. It seems like anyone who isn't in line with their candidate or who is not as conservative as someone would like is all of a sudden the establishment or "the establishment's candidate." It is becoming silly season when you have someone like Senator Marco Rubio either being called 'the establishment' candidate or he is the one 'the establishment' wants to get the nomination [ergo, he is very bad, cannot be trusted and must be defeated]. This is the same Marco Rubio who was the first teaparty candidate who, against 'the establishment's wishes, defeated a real RINO, Charlie Crist, and who has only been in Washington D.C. a few years, now being called the establishment. Also, one of the main arguments being used against Rubio is that he is missing a lot of votes, i.e., he is spending most of his time outside of Washington, D.C. - and he is the 'establishment'? I know, I can already hear some of you Trump supporters saying, well he may not personally be the establishment but he is the establishment's candidate. What? Who is Marco Rubio being attacked by mostly in this campaign [in speeches and by campaign ads]? Jeb Bush and Chris Christie and other so-called establishment candidates. So, how can Marco Rubio be 'the establisment's candidate if many of the "establishment" candidates are attacking him? So, why have Donald Trump supporters and others, replaced the acronym RINO with the phrase 'the establishment'? That's an easy one. They can't use the term RINO this political season because they know the real one and true Republican in name only in this GOP race is....Donald Trump. Yeah, he may be a RINO but at least he's not the establishment....or is he? If they start calling other candidates RINO's, they smartly realize that because of Trump's lack of Republican identification in the past, and his supporting and donating money to many of the most liberal Democrats in recent past, and his statements that have criticized many Republican ideas in the past, he can surely be labeled as a RINO. So, just as the left cleverly switched terms from global warming to climate change, the Donald Trump supporters have cleverly switched terms from RINO to 'the establishment'. Just as global warming and RINO, seem to be going out of use, I for one hope the same fate happens with the terms 'climate change' and 'the establishment'. 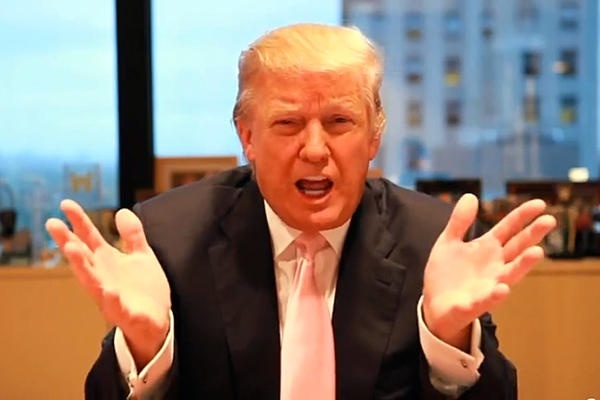 Trump is definately a RINO. Never thought about how the words have changed. Good observation, Big Mike.